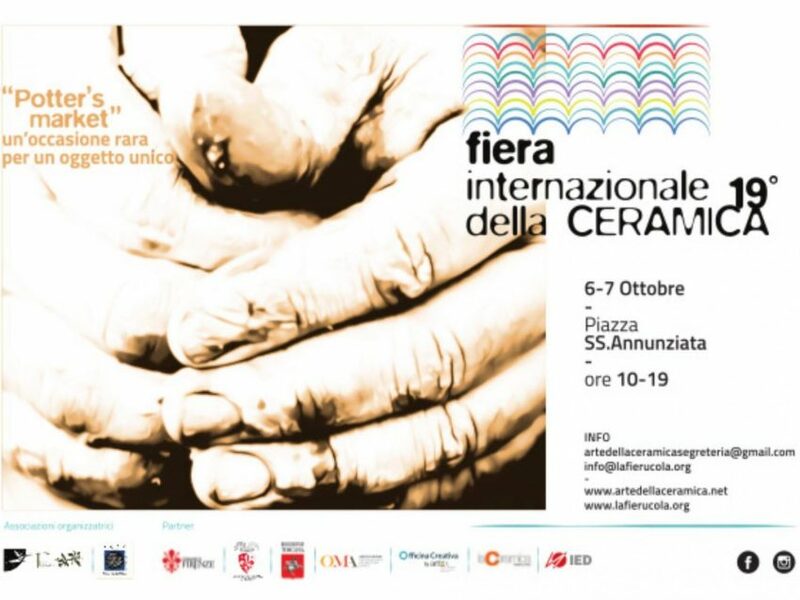 The International Ceramic Fair comes back to Santissima Annunziata. Now in its 19th edition, the fair will bring to the streets the best craftsmen with their creations to admire and buy. 90 artists will exhibit their creations in the most varied and innovative techniques and ceramic materials: you can find objects of use, furniture, sculptures, jewels. In addition to the exhibition market there will be a space dedicated to teaching with clay: will be proposed workshops of manipulation and modeling of clay, laboratory of whistles. In the Palazzo Budini Gattai will host Matthew Tyas, coordinator of the Leach Foundation for exhibitions and collections. In particular, one of the shops will host a tribute to Lindsay Kemp, recently deceased: some of Kemp’s drawings have been selected to decorate five ceramic plates, unique pieces that will be exhibited together with the artist’s original sketches during the two days.